Thirty some years ago in Anderson Valley the Simple Living Fair made its debut at the Boonville Fairgrounds. The driving force then was a group of back-to-the-land refugees from urban venues who had the desire and hope to make this agricultural work relevant; cooperating with and respecting nature; and moving a lot of dirt. In the summer of 2010, the Anderson Valley Foodshed Group organized a retrospective and brand new version called the NOT So Simple Living Fair. The Not-So-Simple Living Fair is a time and place for sharing, teaching, learning and celebrating practical sustainable homesteading skills, which encourage localization and the growth of community. A fun, welcoming and inspiring event, it brings like-minded people from Northern California together at the Mendocino County Fair Grounds in Boonville. Fueled by the volunteerism of organizers and presenters, it covers its own costs while being easily affordable. The Anderson Valley Foodshed Group works toward a vibrant, healthy local food system for our community. We celebrate our local foods, farmers and gardeners. We aim to increase our capacity to grow a diverse, year-long supply of food for all who live here. We work toward these goals through education, connecting people to each other, and creating new opportunities to grow, process, and enjoy locally grown food. Cloud Forest Institute, is a 501(c3) tax exempt scientific and educational non profit corporation. CFI encourages communities to re-establish balance within ecological systems through environmental education and forest conservation. Locally, CFI fiscally sponsors the Anderson Valley FoodShed, the Butler Cherry Ranch Project, the Chadwick Legacy Project, Earth Cycles Radio, Lake County Community Rights Education, the Mendocino Environmental Center, the Not So Simple Living Fair, the Noyo Headlands Unified Design Group, and the Ukiah Bicycle Kitchen. Globally, earthquakes in Nepal and Ecuador have propelled CFI into supporting efforts to rebuild the Himalayan English Boarding School in Lukla, Nepal and through the Ecuadorian Earthquake Relief campaign with support from our NorCal Community is helping to rebuild the coastal villages of Mompiche and Canoa using local bamboo. KZYX (90.7), KZYZ (91.5) and Fort Bragg translator (88.1), is the community non-commercial radio station of Mendocino County, serving several counties in Northern California. Its programming and operational philosophy is controlled by its membership, which is open to all. Through its dedication to balanced, excellent programming, Mendocino County Public Broadcasting reflects the rich diversity of the county, while promoting a sense of community across a large and varied area. The finest in national public radio programs is made available, as well as local programs that are creatively and professionally produced, responding to the needs of the community. KZYX pledges to be a responsible and responsive county-wide medium for news, information, music, performing arts, entertainment, and local features. KZYX&Z sees its programming as a complement to the work of Mendocino’s commercial media. The station seeks to foster increased communication among all groups in the county and makes access available to all points of view. The Captain appeared in Anderson Valley almost 40 years ago. He was a presenter and performer at the original Simple Living Workshops in the late 70′s early 80′s. He’s having a flashback, and is excited that there is a younger generation updating that flashback. He maintains a big homestead garden, built his home from timber on his own property, was a member of the Philo Yacht Club, and is a grange member of the only solar powered grange anywhere. He built most of the greenhouses at the high school, is a founding member of One Less Clown and the Magic Co. and has hosted most of the annual locally famous Variety shows. 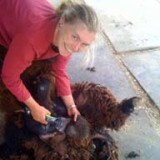 Jen is a dedicated “do-it-yourself-er.” and much prefers local, home grown, home preserved food to store bought. She enjoys putting up pickles of any kind including purslane and okra, drying yards of apple fruit leather, or preparing medicinal syrups made from fruits, herbs and spices. Jen belongs the MendoDragon Community in Boonville. Jini participated in the 1st Simple Living Fairs and has returned as an organizer for The Not-So-Simple Living Fair. 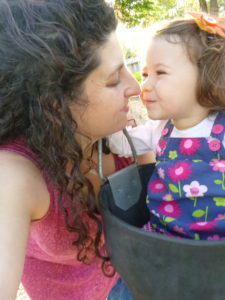 She believes in Homesteading and community with all her heart and soul. She is a firm believer in sharing skills and knowledge with a big splash of fun! 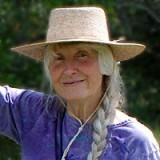 She teaches at the Solar Living Institute, and is a guest instructor throughout the country teaching Primitive and Permaculture skills. The NSSLF is her favorite of all, as she enjoys being the hostess and gets to learn and play in her own community. 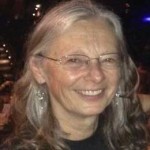 Linda has practiced, studied and advocated for organic gardening and farming for over 25 years. 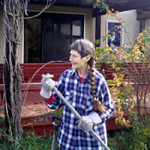 In more recent years she has been gardening more on the wild side of things working on watershed restoration, specializing in native plants. In her spare time she likes to work on fun projects like the NSSLF and the Mendocino County Local Food Guide in April 2013 she and her partner started a small heirloom seed company Diaspora Seeds. They live with their dogs and cat and chickens in Boonville. Linda hosts the Farm And Garden show on the first Monday of every month on Community radio station KZYX, find links to archives for previous shows on pollinators here Farm and Garden Show archives. Lynda has lived in Mendocino County for over 30 years. She has done extensive community organizing for political campaigns, events and community projects. Local and organic food, community rights to clean food, air & water, and so of people over corporate rule are among her passions. She co-founded a small community in Boonville, MendoDragon, where they tend an orchard, vegetable and herb gardens, chickens, and bees. Sophia Bates grew up on her parents’ apple farm in Philo. Early life on the farm created a passion for connection with her food. She left college after a year to return seasonally to the Apple Farm and travel in Latin America, then recently spent three seasons farming in Maine to develop her skills and knowledge about vegetable production and working with draft horses. Since her return to Anderson Valley she has been working to diversify the family farm, growing more food crops, and integrating more animals. 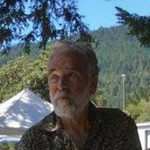 Rob and family arrived back to the land in Anderson Valley almost 40 years ago and have been homesteading ever since. They have experienced nearly every aspect of Rural living and specialized in tree crops as well as garden and animals. He finds living intimately with nature a very rewarding lifestyle with plenty of challenges. 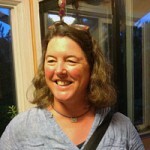 Kathy has lived in Anderson Valley for over 35 years and has enjoyed gardening in her spare time. A recently retired teacher, she is now learning website management to keep the NSSLF website up and running. Steve is a native Northern Californian where he was a machinery mechanic and constructed scientific test equipment. He went back to school and moved to Ohio and West Virginia for 28 years for academic jobs. He has lived in the rural countryside for most of his life and has had way too much experience with hands-on house remodeling, but also enjoyed gardening, beekeeping, and raising chickens for eggs and meat. Steve bakes a mean loaf of artisan bread, is a home brewer, and a scientific illustrator. 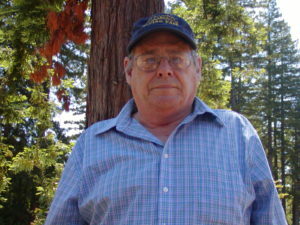 He and his wife, Margie, purchased their retirement property in the Anderson Valley in 1999 in anticipation of moving near their children, then retired and moved here permanently in 2006. He is an enthusiastic proponent of just do-it-yourself and the rewards of not-so-simple technology. 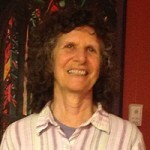 Beth has over 30 years experience as an herbalist teacher, Flower Essence Practitioner, and Nutritional Counselor. 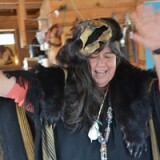 She loves assisting others to experience local and native plants with their many offerings for us, as we look at our own part in the nature of all being. Beth was a founding member of the Sonoma County Herb Association, president of the Association for three years, and co-created their Herb Festival for eight years. She developed and ran the Wellness Center at Northern California Women’s Herb Symposium for twelve years. Now she’s excited about creating an interactive, safe Wellness space for the Not-So-Simple Living Fair. Lama Nasser-Gammett lives with her husband and daughter among the wise Redwoods in the hills above Boonville. Together they tend a large subsistence garden in the valley and are in the process of re-starting their mushroom production business. 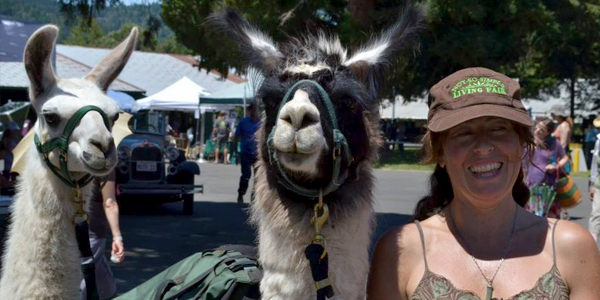 Lama spends her time homeschooling her daughter, wild crafting, cooking and volunteering with the Anderson Valley Foodshed.